The 25th Annual Screen Actors Guild Awards honouring the best achievements in film and television performances of 2018 were presented on Sunday evening (January 27). Melissa McCarthy has paid tribute to her co-star Richard E. Grant as she arrived at the Screen Actors Guild Awards. 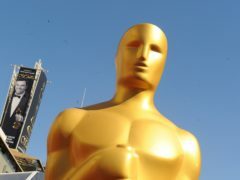 The Screen Actors Guild has called on the film academy to stop trying to prevent stars from appearing on award shows before the Oscars.